Mauritius, officially called as the republic of Mauritius is an island country in the Indian ocean about 2,000 kilometers to the southeastern coast of African continent. The country consists of the islands of Mauritius and Rodrigues which is 560 kilometers to the east of Mauritius. The islands of Mauritius and Rodrigues form part of Mascarene islands. The capital and the largest city of Mauritius is Port Louis. Mark Twain, once described Mauritius as paradise. 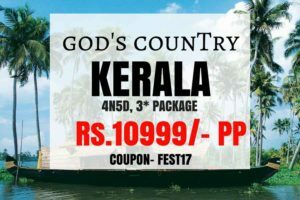 This country offers pleasant climatic conditions, pristine sand beaches, deep blue waters and ultimate scenic locations that will melt your heart. A hypnotic blend blend of Indian, African and European influences, Mauritius will dazzle even the most discerning traveller with its superb hiking and amazing diving spots. The island of Mauritius was uninhabited before its first recorded visit during the Middle Ages by Arab sailors. In 1507, Portuguese sailors came to the uninhabited island and established a visiting base. The Portuguese did not stay long as they were not interested in these islands. The island was name Mauritius after Prince Mauritius Van Nassau of the Dutch republic in 1598. The Dutch established a small colony in Mauritius in 1638. The first settlement lasted for about 20 years. The Dutch abandoned Mauritius in 1710 as it wasn’t developed enough to generate dividends. France took control of Mauritius in 1715 and renamed it Isle de France. The island was under the control of the French till 1810 and during this time, the French erected a lot of buildings which are still standing till today. The British landed in Mauritius in 1810 and took over the control of the island from the French. The British administration led to rapid changes in socio and economic conditions. The British ruled over the island of Mauritius till 1968. In 1968, the British who wanted to relieve itself of Mauritius declared independence to the island. Twenty four years after independence, Mauritius declared itself as a republic within the commonwealth of nations. The total land area of the country is 2,040 kilometers. It is the 169th largest nation in the world by size. The Republic of Mauritius is constituted of the main island of Mauritius and several outlying islands. The second-largest island is Rodrigues with an area of 108 kilometers and situated 560 kilometers to the east of Mauritius; the twin islands of Agalega with a total land area of 26 square kilometers are situated some 1,000 kilometers north of Mauritius. Saint Brandon is an archipelago comprising a number of sandbanks, shoals and islets. The island of Mauritius is relatively young geologically, having been created by volcanic activity some 8 million years ago. Together with Saint Brandon, Réunion, and Rodrigues, the island is part of the Mascarene Islands. These islands have emerged as a result of gigantic underwater volcanic eruptions that happened thousands of kilometres to the east of the continental block made up of Africa and Madagascar. They are no longer volcanically active and the hotspot now rests under Réunion Island. Mauritius is encircled by a broken ring of mountain ranges, varying in height from 300–800 meters above sea level. The land rises from coastal plains to a central plateau where it reaches a height of 670 meters; the highest peak is in the southwest, Piton de la Petite Rivière Noire at 828 metres. Streams and rivers speckle the island, many formed in the cracks created by lava flows. Situated near the Tropic of Capricorn, Mauritius has a tropical climate. There are 2 seasons: a warm humid summer from November to April, with a mean temperature of 24.7 °C and a relatively cool dry winter from June to September with a mean temperature of 20.4 °C. The temperature difference between the seasons is only 4.3 °C. The warmest months are January and February with average day maximum temperature reaching 29.2 °C and the coolest months are July and August with average overnight minimum temperatures of 16.4 °C. Annual rainfall ranges from 900 millimeters on the coast to 1,500 millimeters on the central plateau. Although there is no marked rainy season, most of the rainfall occurs in summer months. Sea temperature in the lagoon varies from 22–27 °C. The central plateau is much cooler than the surrounding coastal areas and can experience as much as double the rainfall. The best time to visit Mauritius is from May to December when the weather is cool, dry and sunny. The island has a classic tropical climate with warm weather year round. Sir Seewoosagur Ramgoolam international airport is the main airport of Mauritius locate at a distance of 26 nautical miles from the capital of Mauritius; Port Louis. 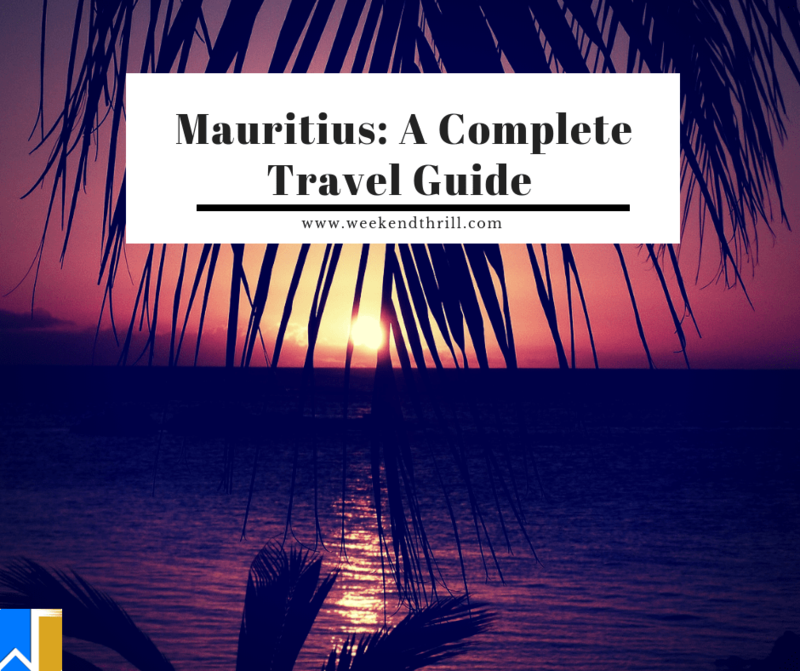 All the major cities from India offer flights to the tropical paradise of Mauritius. Always book your return ticket in advance to get the best value on your airfare. Air Australia, Saudi Arabian airlines, Mauritian airlines and Emirates offer some of the most economical flights to Mauritius from India. 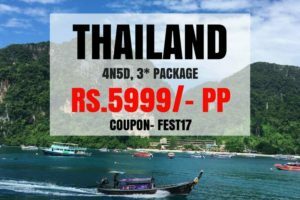 Air travel is the best and the cheapest way to travel to Mauritius from India. Le Mourne Brabant is situated in the south of the island, and is a scarcely inhabited place. The Le Mourne Brabant mountain is recognised as a World Heritage site. This beautiful mountain with many viewpoints also encapsulates a lot of Mauritian history. This mountain looks over at the western coast of the island in all of its glory. This huge national park covering over 3.5 percent of the land of Mauritius, is full of incredible wildlife and native forests including many natural ecosystems. This dense forest is home to over 300 species of flowering plants and also it houses the pink pigeon, an endangered species native only to this land. This national park also offers plenty of hikes for nature lovers. This park houses a lot of animals including giant bats, giant turtles, monkeys and a huge insect collection but the star of the park is the majestic crocodile. Its insectarium is one of the world’s largest private collections of butterfly and other insects. A large outer isle of Mauritius, Iles Aux Cerfs is located off its East Coast, with spectacular white sandy beaches, palm trees and waters of all shades of blue. It remains one of the main attractions of the island. It is the perfect place to go to relax and enjoy parasailing. Grand Bassin is an extinct volcano, now a lake up high in the mountains about 1800 feet above the sea level. It houses the most sacred Hindu temple on the island of Mauritius. There is also a majestic 108 foot statue of Shiva which brings a touch of uniqueness to that specific location. La Preneuse is not protected by coral reef, and so the water currents in this place are strong, which makes it a famous and a popular place for surfing. The best part of visiting La Preneuse is you can spot dolphins swimming along in the waters. The Caudan waterfront is a great meeting place for both locals and travellers alike. There are many historical buildings to visit on the waterfront, making it an ideal place to visit to learn about the history of Mauritius. Blue bay is the most famous attraction of Mauritius as it boasts magnificent beaches with crystal clear waters. You can go scuba diving, snorkelling, swimming or enjoy any other water sport. This is the ideal place to kick back and relax on the beach whilst sunbathing with a tropical drink in your hand. The Balaclava ruins was initially an old estate whose foundation was laid down by Mahe de Labourdonnais. The original sea wall that protected the estate is still visible till this day. The Dutch ruins were among the first building the Dutch constructed back when they were ruling Mauritius. Excavation is still going onsite, which makes it even more exciting. The cuisine of Mauritius is a blend of Chinese, European and Indian influences in the history of Mauritius. Dishes from French cuisine have grown very popular in Mauritius. Most of the dishes and practices into the culinary traditions are inspired from former slaves, Indian workers and Chinese migrant during the 19th century. The Indian workers who arrived at Mauritius from all over India brought with them their unique cooking traditions and styles. The Chinese migrant workers who came mostly from the south-eastern part of China. They are largely credited with making rice the staple food and introducing noodles to the cuisine of Mauritius. Each of the country’s community has mixed their traditional cooking with others and have created a special cuisine style to their liking. Mauritius also has been blessed with abundant resources of sugar, which has also been introduced into the islands cuisine. Here are some of the best restaurants that serve some of the most authentic Mauritius cuisine. Le Caudan waterfront is a commercial development in Port Louis, the capital of Mauritius. It includes shops, banking facilities, casinos, bars and restaurants. Le Caudan waterfront is basically a one stop shop for all of your shopping needs. The town of Floreal also situated in the district of Plaines Wilhems offers you a selection of local handicrafts workshops and factory shops, such as the wool factory, a model boats workshop, a diamond cutting workshop and more. Many of the boutiques and factory shops in Floreal offer a vast range of products. Phoenix mall is very famous for its beer. It offers a lot of shopping possibilities. The Mauritius glass gallery is where interesting glass products can be found and bought. This is a modern complex offering many boutiques under a single roof. The currency of Mauritius is called the Mauritian Rupee. 1 Mauritian Rupee = 2 Indian Rupees. 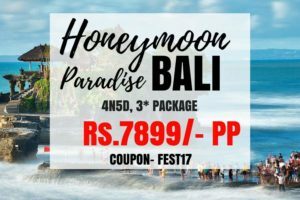 Mauritius is an expensive place, so plan your trip in a way that you will be able to utilize the full worth of your money and also be able to enjoy the beauty of Mauritius. A visit to Mauritius does not require a visa. Mauritius government grants free entry into their country for a period of upto 60 days. Air Mauritius will stamp your passport if you have a return ticket within 60 days of entry. If your trip extends a period of 60 days, then you must apply for Mauritius visa from the Mauritius consulate in New Delhi.